Below all in collective hierarchy to be always bad, regardless of to what type of animals you belong. The low status not only is bad for social life, but also increases also risk of infection and emergence of diseases. However according to a new research, at monkeys, our closest relatives, this effect is reversible: ascension on top of “a totemic column” can lead to the fact that the immune system will begin to be recovered. Researchers knew for a long time that the low social status is always connected with ill health and the shortened term of useful activity. However, still scientists didn’t carry out direct correlation: it wasn’t clear whether results the low social status in ill health, or on the contrary, poor health is the prime cause of social failures. For example, in human society of the person with the low status, like the homeless, suffer from diseases because have no access to high-quality food, housing and sanitary products, without speaking already about services of doctors, and also steadily destroy the organism by alcoholism, smoking and drugs. But whether ill health can in itself be a sufficient reason in order that a mouth on the bottom and to become the homeless? To receive the answer to this question, scientists addressed to macaques Rhesus factors in whose packs the accurate hierarchy is observed. Monkeys in the upper part of hierarchy with a high probability breed with each other that helps to create strong social communications while the monkey from “bottom” of society in courting attempts most likely will be rejected or will even become object of aggression. To manage changes of hierarchy, researchers took several females and placed them in new social groups where they were known by nobody. The order in which monkeys were entered, predicted their rank: the first aimed to become alphas, the second — bits and so on. 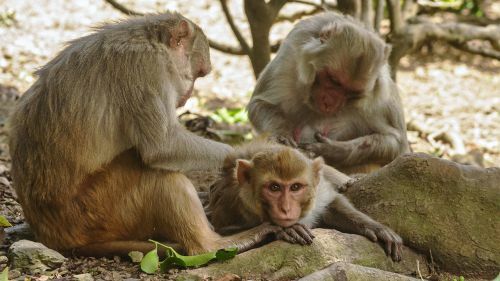 3 months later, scientists took the blood samples cleared by five various groups of cages of immune system from macaques and measured an expression of genes in all genome. They found out that activity of more than 1600 genes of cages killers (the white blood cells killing the cages infected with viruses and cells of tumors) significantly depends on the social status. To check the hypothesis, geneticists allocated even more immune cages and entered imitation of agents of a bacterial infection on their Wednesday. The cages received from blood of monkeys with a low social position also really were much less effective in fight against microbes. Results of a research were published in the Science magazine. According to Nov of Snider Broker, the evolutionary anthropologist from Duke University in Northern Carolina, the USA, results of a research most likely say that if we take adult individuals from social bottoms and we will improve their situation in a scale of ranks, it can improve considerably and their own immune system. However it brings up also questions of that, how exactly it is worth helping people. According to scientists, matter not only in providing to people from low social groups access to medicine and protection against harmful effects. Researchers separately stipulate the fact that they didn’t control social interactions of macaques during their childhood and youth. Many circumstances indicate that the separate experiences and adversities which have happened in the early childhood can continue to influence even an adult individual during all life. Besides, it is necessary to consider genetic distinctions between certain macaques: one can be much steadier against a certain type of an infection, than others.